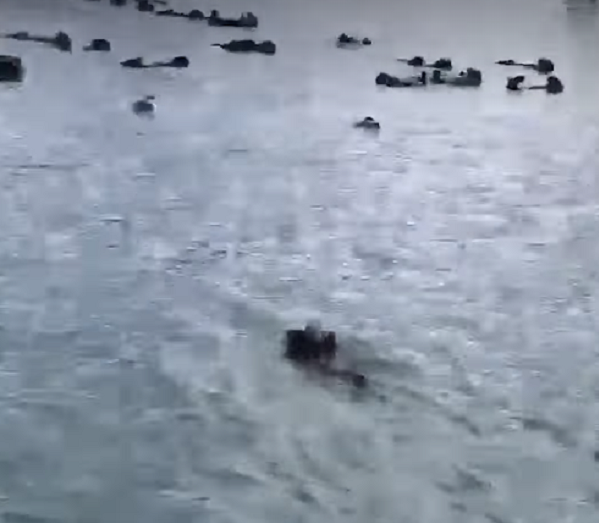 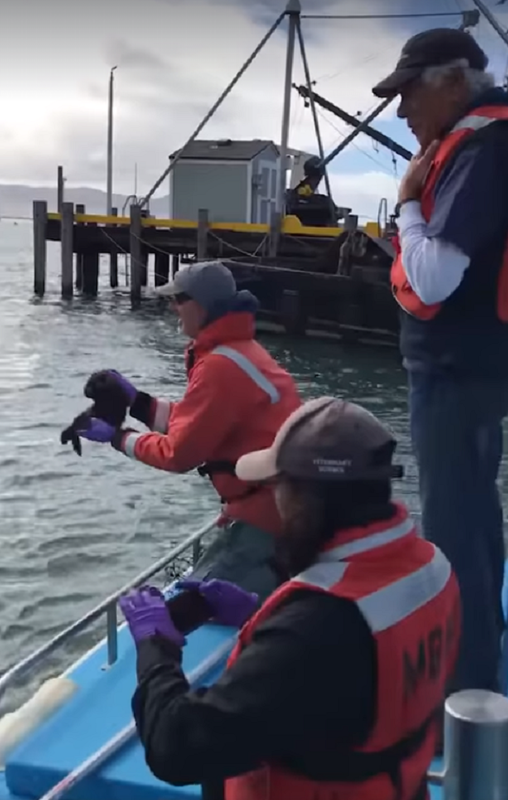 Watch this cute little otter pup reuniting with his mom in the video below, and be sure to share! 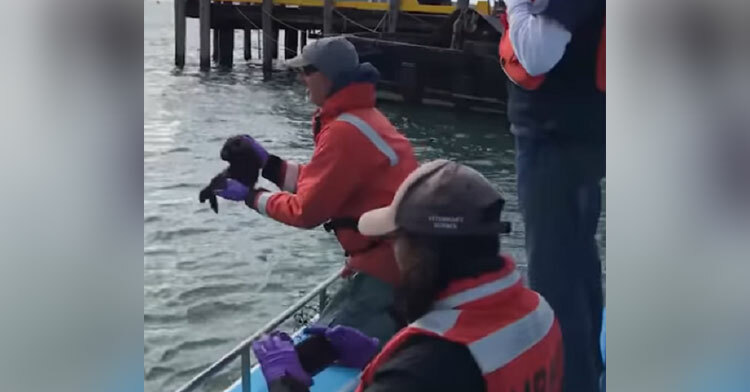 In between cloudbursts today, the Harbor Department had the pleasure of assisting the Marine Mammal Center and Mike Harris of Fish & Wildlife in reuniting a baby otter with its mother that was spotted by one of our commercial fishermen. 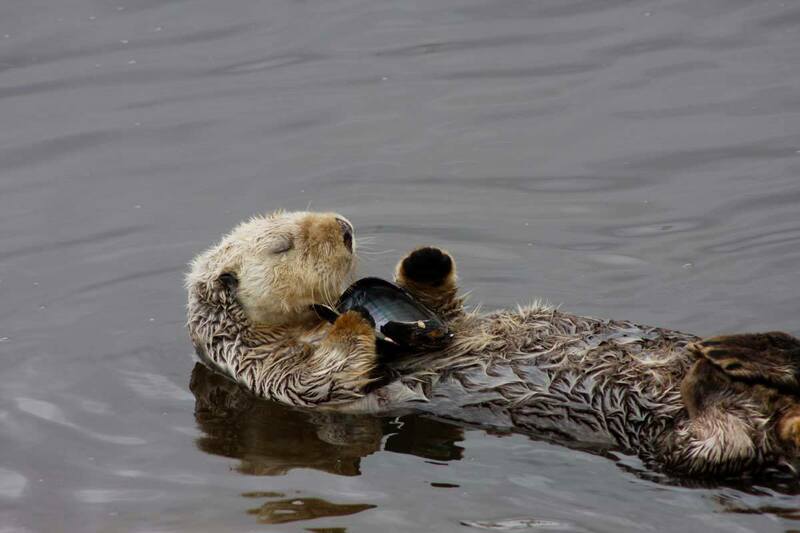 All in a day's work.Wait for it….